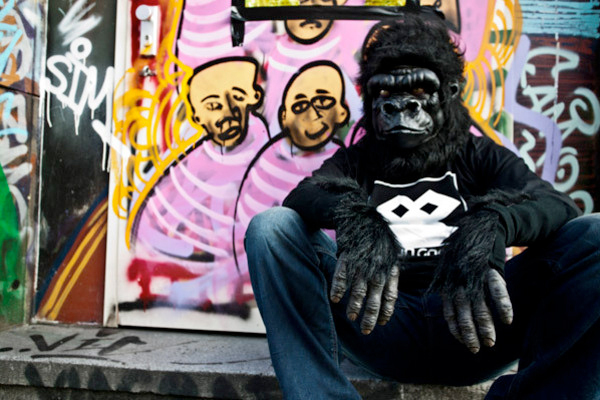 Authors Bio: Thorsten Hunsicker is a Master Degree Fashion Designer who started his own Clothing line called Urban Gorilla in 2011. Today he is also Head of Sales at the Multilabel Distribution RevierHelden in Germany. and Threadbird got you covered very well in this regard!). But most people forget to think about the financial side of the fashion business when they are starting out. Bootstrapping your startup clothing line out of your own pockets can be a serious problem, and sooner or later you will not be able to finance a bigger production run anymore. And then what? Until January 18th, 2013 we are still running a crowdfunding campaign at Indiegogo to help us finance a complete collection, a booth at a trade show, as well as a roadshow to find retail buyers. But to be honest, not all is going according to plan. Actually we know exactly why and it is even our very own fault. Let me show you how we set up the campaign, what we did right and most especially what we did wrong, so you can do better with your own project. Define your goals. You must know how much money you will need to raise first. One basic requirement for every crowdfunding campaign, is to set up some perks. These are goodies that you have to award to the people that make a donation to your cause. You might think of it as if they actually get something in return for their money. Of course you cannot make this a 1:1 value ratio, else you will not actually earn a dollar. Next you need to define what you want to archive with your campaign. Maybe you set this up like some kind of preorder for a specific product or you want to finance the production and at the same time you sell out the first stock of products. In this case your campaign would act like a storefront for your items. If you do it like this you have two choices: you only produce what has actually been ordered, or you order the double unit quantity because you should at least cover two times the actual production costs with your sales. That way you have the same quantity of products again for free to sell at the original price and make a good 100% profit out of it. Maybe you need to reach a critical mass or quantity or just proof your concept for a retail buyer or just want to give something special back to your community, so whatever your goal is, you need to have a clear focus of what you need to archive. It might be the best known platform and thus it gets the most traffic. But that also means the most featured campaigns. If you will stand out better or sink in the masses is something I cannot tell you. Fact is that it gets a lot of attention in the biggest media outlets like Mashable, Techcrunch and some others. If you make it to their frontpage your server will hopefully not go down because of the traffic avalanche! Our own campaign is running on Indiegogo as they have some huge benefits for international brands. Meaning first, that you do not need to have an US bank account to start a campaign. It is possible to use your Visa or PayPal-Pro (business) accounts. Second, you can make your campaign flexible, which means that even if you do not reach the total sum of your funding goal, you still can keep all the money that has been raised. Make sure that you give something valuable in return for people´s donations by offering incredible unique and fun perks. Your supporter wants to get a piece of you, so beware that the perk is directly related with your project, person, brand or cause. When you run a clothing line the most obvious thing to do it setting up perks that include any combination and value packs of your stock or especially created limited edition items. We went a few steps farther by offering unique pre-production samples, custom made hoodies, our signature Gorilla masks, as well as handcrafted photoshop mockup files and ready made spec sheets that we use for our professional productions. There is nowhere in the whole world were you can get your hands on these. We even offer an exclusive custom production for retail buyers that take the most valuable perk. As the perks grow in value bundle everything together in as many different combinations as possible. Be creative. As usual. A drawback in every crowdfunding platform we were looking at, is that they mostly gather a tech savvy crowd. Fashion projects usually do not perform as well as a tech design type. That is why you need to deeply implement a great marketing strategy right from the beginning! Update your campaign regularly and do your marketing every day. Reach out to all your social followers as often as you can without spamming them in the process. There are some handy tools that you can use to boost your traffic and I urge you to peruse all of them as best you can. To get you started check out Outbrain, Trada, Onlywire and BuySellAds. This is a guest post, obviously. I want to help you guys out with some valuable information. But at the same time this is a marketing tool for us. Think about it: When you read this, we have reached someone from outside our usual turf. That means that at the end of the day we might have reached a potential new customer (if you like our stuff). What you should do is predefine a group of as many relevant high level blogs in your focus group and write a blog post that contains valuable information and is focussed exactly on their niche. Include some open call to action to engage with you or even help you out when they liked your post. Make sure to write that posts upfront, no matter what. That way you have them ready as soon as you need them and don´t have to start creative writing in the middle of the project. When you get rejected from a major blog, don´t be discouraged and offer it to another blog that is somewhat lower in the food chain. We did not engage much marketing at all. We spend 100 dollars on a targeted Facebook ad, that does not seem to have drawn a single visitor to our website. Hm, that alone is an interesting fact for another guest post. I am quite sure it is the wrong strategy for engaging social networks. Apart from the one that you are reading, we actually have written no other guest posts so far. Well it is another 10 days, so if this one is accepted, maybe I still write another one. But that is not a great idea so late in the project as you need to gain traction early on to make it. Remember that you should have them written and ready before you start the campaign, no matter what! Maybe we even picked the wrong crowdfunding platform. We think that Kickstarter might have been better, but you need to own a US bank account and as we are from Germany, we don´t. Set lower entry perks to engage the masses. Every Cent counts, so even a complimentary pledge of just 1 USD would lower the barrier and raise your funds. We did not spend money on advertising. If you take a look at the advertising tools I named above, you can nail down that much possibilities when you have the dollars to support your project. Filter out why you don´t need and focus on your target audience and set up some advertising. No updates to your campaign will signal that you don´t really care about it. Should have done that regularly as well! Do you think crowdfunding will work for fashion brands? Let us know in the comments. thx for sharing!!! i will just do it !!!! Thanks for the post. You touched on a lot of topics that I was already looking into. Its good to see that I’m on the right track. There was also some information I had not looked at before too. I will be using Kickstarter for my campaign. I have studied both the successful campaigns and the ones that failed. I think this is a must to set up a successful campaign. I also plan to heavily use social media to promote my campaign. I will launch my social media campaign about 30-60 days before my kickstarter campaign. My goal is to have as many people as I can following me when I launch with Kickstarter. This should give me a good results. I hope this can help others as well.